Horrible weather has befallen upon my city, and it’s a good thing. Record setting low temperatures, windchills of astronomical proportions and 500 shades of gray. The snow has fallen all night atop the previous snow and it’s over one foot deep. I prepared for the first snow by filling my red plastic 5 gallon gasoline container, to keep the snowblower fueled. I’m not snowed in, I’m snowbound. The schools are closed, the traffic is horrible. My brewed coffee is hot and the view from my kitchen table is beautiful. Chicagoans or transplants can find ways to argue about a favorite pizza, baseball team and neighborhood. All of the city’s citizens can agree about one thing, Chicagos weather. Some will say if you don’t like it, wait twenty minutes because it’ll change. 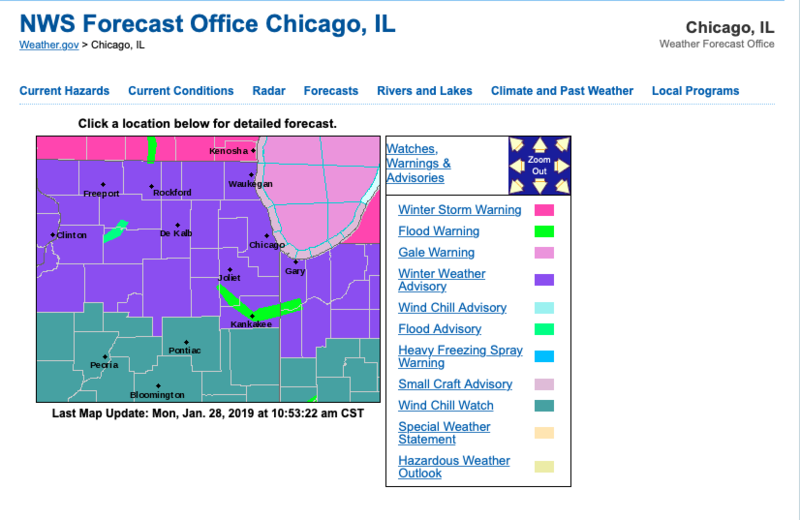 I’ve seen it snow up, I’ve seen it snow on one side of the street, I’ve walked the Magnificent Mile on the sunny side of the street and broken a sweat, only to cross the street and discover a shaded wind chill factor deserved of hat, gloves and scarf. I once saw an elderly woman cross the street in the rain and get caught on the pedestrian safety island, she had bent over at the waist and lowered her umbrella to shield her from the spray of a passing taxi, only to have her rear end dowsed from a bus in the other direction. Which brings me to this point, bad weather equates good days for getting work done. Making checkmarks next to your lists, achieving goals and cleaning out your proverbial in-box. An old friend once said that if it wasn’t for the weather, everyone would live in Chicago. She continued to say that she appreciated the bad and horrible weather days because she didn’t feel bad about closing herself inside to accomplish work. It was on the good weather days in Chicago, because they seem so rare, that she felt bad about getting work done. With that inspiration, I’ve reflected on a few things I need to get done on this horrible snowy and windchill warned day. My career is moving forward, albeit slower than the Kennedy expressway, I, like other Chicagoans, still forge ahead. Trudging forward through the metaphorical emotional snowbanks, windchills and ice spots of uncertainty, doubt and anxiety. One foot in front of the other makes progress. With the wind of Chicago at my back, I can make huge strides. Sometimes the wind of the world is in my face and all I can do is stand, bend my knees and lean facing into the wind. It may seem as if I don’t get anywhere, yet spiritually it makes me stronger, earnest and focused. On those seemingly unsuccessful days, it gives me a chance to reflect on what or how I need to change my plan to achieve my success. 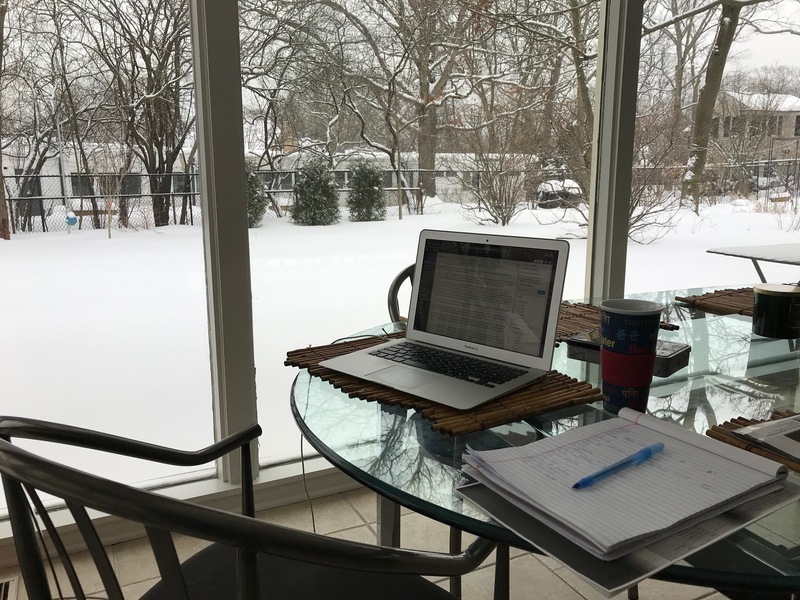 To paraphrase Cahn and Styne … Oh, The weather outside is frightful, and my future is bright and delightful, and since there’s no place to go … get to work, get it done, be the one!